LASAI in Basque language means quiet, calm, peaceful. It is what it is, calm and comfort, both physical and visual. A large solid oak structure hosts a shell and cushions that are available in different fabrics and leathers. 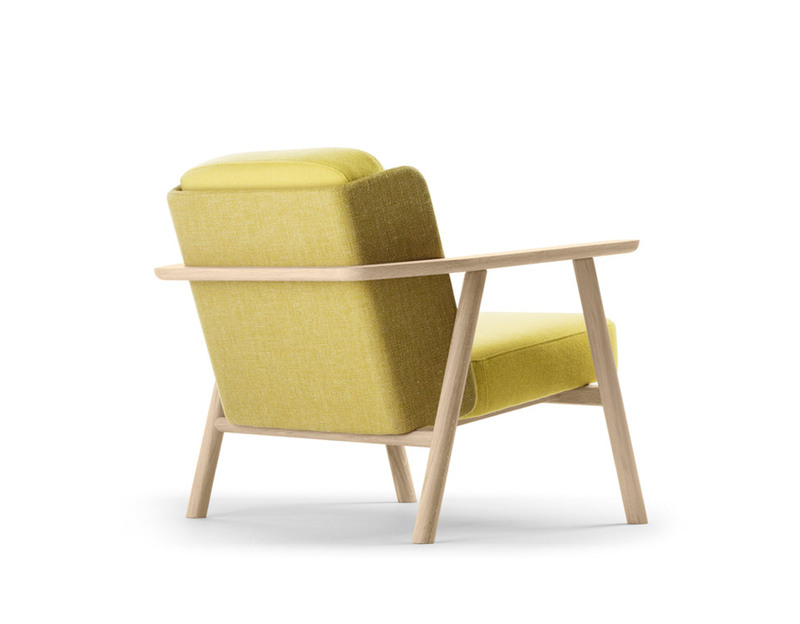 A cozy armchair which is difficult to leave. Coffee table / container completes the collection. A large, solid oak frame surrounds a shell upholstered in fabric or leather and cushions. LASAI is a very pleasant kind of chair. The LASAI range comprises an armchair, a sofa and a low table/storage space. It is an interpretation of the Hans Wegner chairs we all remember and which has been adapted to the ALKI spirit.